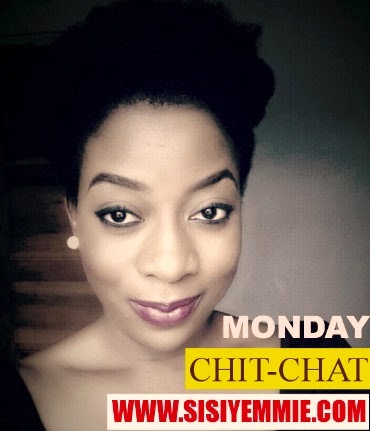 MONDAY CHIT-CHAT: JUNE, JUNE, JUNE! Hello!!! How una dey? How body? Happy New Month!!! How was your weekend??? LOL. Mine was very very eventful *rubs hands in glee. The first to leave a comment + email address wins airtime recharge card. Someone suggested that I start inviting my readers on these reviews I do...what do you guys think? Oya make una pray so I go get plenty money to take you out :D I would love that. The highlight of my weekend was my interview that was aired on NTA on Saturday... I got a buzz from that. Let’s start from Friday, after work Bobo and I decided to see a movie, when we got there the movie was SOLD OUT. Seriously? It was a Nollywood movie, “Devil in The Detail" starring my darling Nse: I have a crush on her. Please who has seen that movie? Was it That interesting? Well, that kind of turned my Friday “topsy turvy” because that was the only thing I wanted to do, so we spent some time watching people at Silverbird Galleria. People watching is very very interesting, you go see the one wey dey scratch nyash, you will overhear funny/weird conversations. It was interesting. After people watching we got some ice cream and called it a night. Saturday was market runs for me. I went with my mom and sister to Balogun market, kai…so stressful sha because I was trying to finish that runs within 4 hours. Something funny happened that day…I saw that padded bum-bum so being the curious person that I am, I stopped to ask for price, naim one babe look me, “I know you, you’re Sisi Yemmie”…hay! Just as I was pricing bumbum… this life. LOL I could not stop laughing. The bumbum was sha N1700, for those who want to know the price. Speaking of baby bums, I have a new godson (I claim him) LOL. Semilore’s mommy had a baby on Sunday. Soooooo Semilore is a big brother. I’m so excited. I love babies born on special days, this was a June 1st baby born on a Sunday. I’m wondering what name to dash him….hmmmm please suggest contemporary interesting Yoruba names like Oluwaseyitowi aka Towi, Oluwakimilaya aka Kimi e.t.c. Tainz. Also congrats to our very own Le Dynamique Professeur on the birth of his newborn too! Go to his page and wish him congratulations! On my way out of Oriental my attention was diverted to another event, it was a flower event. Kai! How did I miss this event? It was almost closing. It was like a garden showcase with lots of flowers, plants and garden accessories and it’s been on for like 3 days…guess who was performing? Timi Dakolo! That was awesome!!! The part of the event I met was very interesting. That's what I did with my weekend oh (that's all I remember). I'm looking forward to the weekend coming up (I'll tell you the reason later). Oh, I heard Mo Abudu got an honorary Doctorate...that woman is inspiring, congrats to her. That reminded me that I don taya for school, so let me go and make money, so that they will start preparing my honorary doctorate. I want to wish everyone the best in this new month, God's blessings, favour and grace will be upon you. Do Good. Ps. I've been extremely busy the last couple of weeks and it will continue for a while, please bear with me if my posts are late, or not as frequent and if it takes a while to respond to emails. Na the season wey I dey. mwaah! Am I first? I pray so lolzzzz. Wunmiolaigbe4@yahoo.com. sisi Yemmie!! can i be on your bridal train? i know you have been busy preparing for ur wedding. #smiles. I can't wait for your laserderm review. i plan on going there and need to know how effective they are and how much it will cost. You sure had a nice weeekend .amakaaniokoye@gmail.com. Missed ur interview on nta. * sadface *. U be celeb nau. How pesin nor go recognize u fr market. But see life, if nor b wen u dey price fake nyash, e for no see u o. Smh. Meanwhile I earnestly await d review on laserderm. Been waitin to hear someone's testimony frm dem b4 tryin dem out myself. Hv a great wk ahead. Looooolll!!!! At d bum bum incident nd oluwaseyitowi is an amazing name. 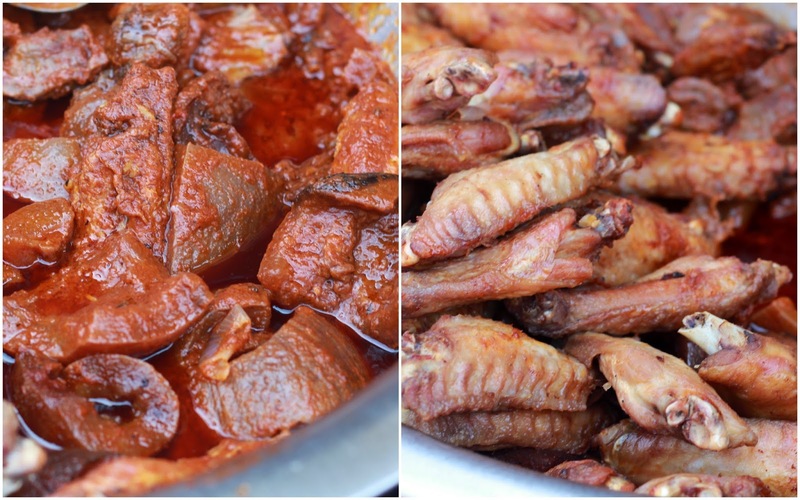 I need to visit Balogun sef, "it haff tayed", tainz for reminding me sisi yemmie!!!!!!!! This bom bom matter. My friend say e dey reign oh, be like na only me nor get. I've never really had a thing for flowers can't explain why? Meanwhile what's the meal in the picture before the amala? Awww.. thanks Sisi Yemmie. God bless you. MONDAY CHIT-CHAT : HELLO LONDON! Can The Eagles Beat France? iTEL iNOTE BEYOND 3G - REVIEW! HOW TO "SERVICE" YOUR RELATIONSHIP! MY HAIR LATELY: CURL A BY BEAUTY XTRAODINARY !! !